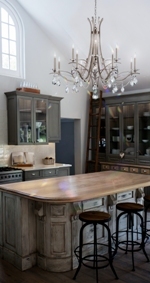 When it comes to home renovation projects, the first place to start is usually the kitchen. 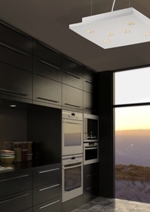 The latest trends in finish-outs and appliances will impact your lighting choices. Most high-end homes are now using quartz-based countertops, particularly with a matte finish, also sometimes called suede, honed or leathered. that have been popular for the past decade. The right lighting makes your home inviting. A lighting consultant can help you develop a plan. The use of black stainless appliances is on the rise, which eliminates unsightly fingerprints, but creates the need for additional light in the surrounding space. The lower reflectance of black stainless appliances, as compared to white or stainless steel appliances, will make a room appear darker. 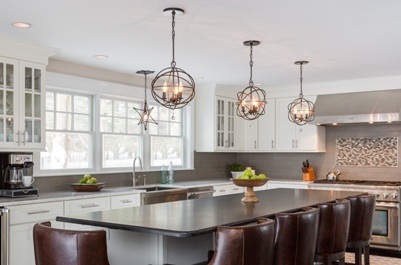 Additionally, the trend toward more involved backsplash materials, especially when paired with dark cabinetry, makes lighting even more important. Visit Hortons online for more home lighting information. Over the past 15 years, average ceiling heights have risen. The accepted minimum height is now 9 feet, with 10- to 12-foot ceilings becoming common throughout North America. That means taller sconces and taller chandeliers are necessary to fill the additional space. Similarly, center islands are now substantially bigger than in the past. As a result, the tiny, mini-pendants that were all the rage a few years ago are being surpassed by larger, taller pendants in kitchens. Find perfect lighting for your home at a Hortons showroom.